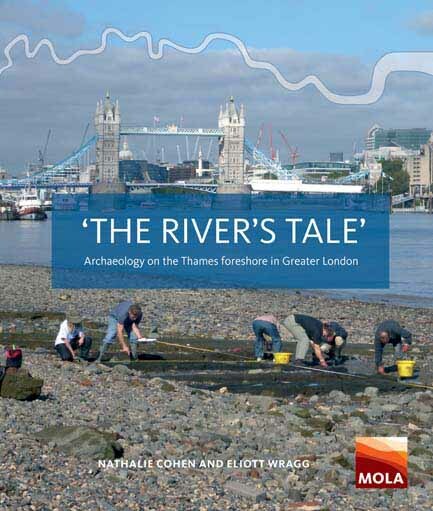 The River Thames foreshore – London’s longest open-air archaeological site – provides evidence for past environments and structures from prehistory to the present, from fish traps to ferry points, barges to bridges. An army of dedicated volunteers working across Greater London with MOLA’s flagship community archaeology project, the Thames Discovery Programme, and its predecessor, the Thames Archaeological Survey, record the fast-changing archaeology of the capital’s beaches, before it is washed away forever. Their work is presented here in a book which celebrates the history of the Thames. This book has been funded by Thames Clippers, the Port of London Authority and Tower Bridge and we would like to thank all of those organisations for their support.